If you’re looking for holiday events in Texas, visit Galveston! Moody Gardens offers some of the finest holiday events around. 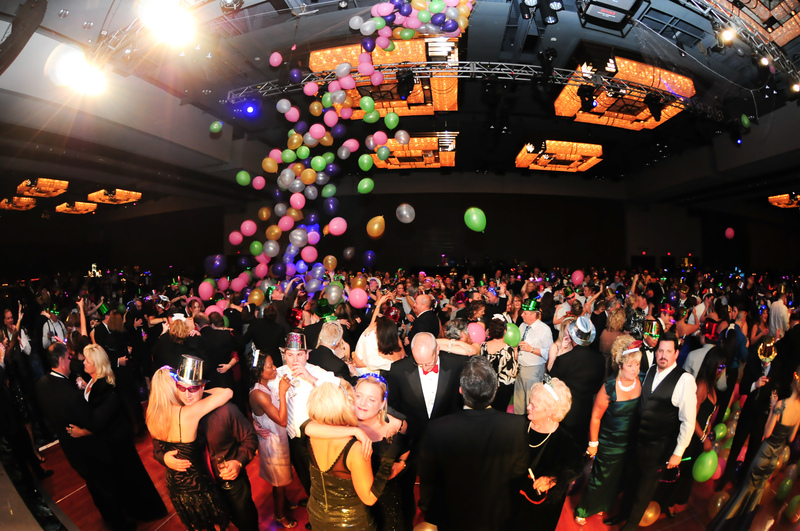 One of our most extravagant events is our New Year’s Eve Gala, which has become known as one of the best places to be during New Year’s Eve in the Houston and Galveston area. This New Year’s Eve, the Moody Gardens Convention Center will be transformed into a modern winter wonderland fit for only the most lavish affair. This year’s Gala will once again feature Commercial Art, one of Houston’s most popular party bands. Commercial Art is sought after by all of Houston because of their eclectic mix of music. They offer everything from vintage rock and 40’s swing to classic soul and modern hits. With the great entertainment on hand, this New Year’s Eve Gala will be quite the party. 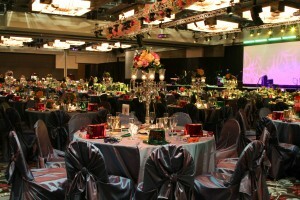 However, if you’re also looking for a romantic night for two, the Gala’s sophisticated setting is the perfect place. Moody Gardens will be offering an elaborate array of food, and of course an open bar. For added extravagance, don’t forget to take part in our champagne toast. Finally, ring in 2013 with our midnight balloon drop. Tickets are on sale for $425 per couple or $225 per single. Don’t forget to make your reservations at the Moody Gardens Hotel; accommodations begin at $109 plus tax per night, with the purchase of a Gala ticket. For reservations, call 888-388-8484. Call now so you don’t miss out on the party of the year! If you can’t make it for our New Year’s celebration, be sure to check out our other Galveston and Houston holiday events. We offer a Festival of Lights that offers more than 1 million lights in 100 animated light displays. While there, be sure to stop by our Festival of Lights Buffet. For more family fun, visit our Magical Christmas Dinner and Show starring Master Illusionist Curt Miller and Friends. Get your tickets here. Finally don’t forget to take advantage of our outdoor ice skating rink and visits with Santa! At Moody Gardens, there’s holiday fun awaiting the whole family!